Dietrich Bonhoeffer (Feb. 4, 1906 – April 9, 1945) was a Protestant Lutheran Pastor, theologian, and active in the German resistance to the policies of Hitler and Nazism. 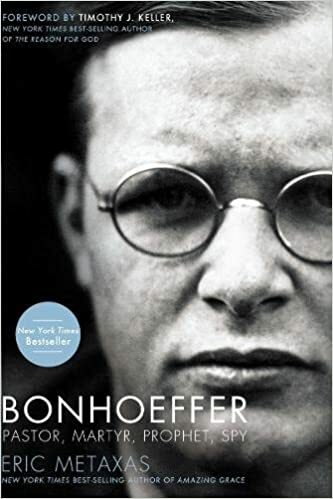 Due to his opposition to the Nazi regime, Bonhoeffer was arrested and executed at the Flossian concentration camp, during the last month of the war. He remains an important symbol of opposition to Hitler, and his views on Christianity increasingly influential. 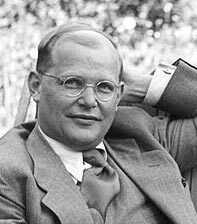 Bonhoeffer was born in Breslau, Germany, in 1906. 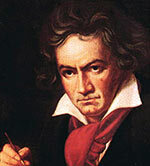 His family were not religious but had a strong musical and artistic heritage. From an early age, Bonhoeffer displayed great musical talent, and the pursuit of music was important throughout his life. His family were quite taken aback when, at the age of 14, he announced he wanted to train and become a priest. In 1927, he graduated from the University of Berlin. 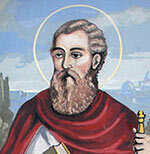 He gained a doctorate in theology for his influential thesis, Sanctorum Communio (Communion of Saints.) After graduating, he spent time in Spain and America; these gave him a wider outlook on life and helped him move from academic study to a more practical interpretation of the Gospels. He was moved by the concept of the Church’s involvement in social justice and protection of those who were oppressed. His wide travels also encouraged a greater interest in ecumenism (outreach to other churches). 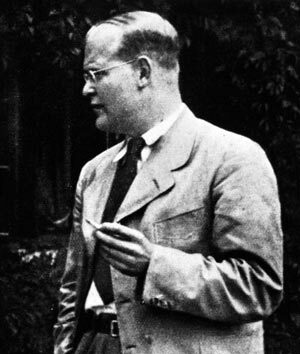 While the election of Hitler was widely welcomed by the German population, including significant parts of the Church, Bonhoeffer was a firm opponent of Hitler’s philosophy. Two days after Hitler’s election as Chancellor in Jan 1933, Bonhoeffer made a radio broadcast criticising Hitler, and in particular the danger of an idolatrous cult of the Fuhrer. His radio broadcast was cut off mid-air. In April 1933, Bonhoeffer raised opposition to the persecution of Jews and argued that the Church had a responsibility to act against this kind of policy. Bonhoeffer sought to organise the Protestant Church to reject Nazi ideology from infiltrating the church. This led to a breakaway church – The Confessing Church which Bonhoeffer helped form with Martin Niemoller. The Confessing Church sought to stand in contrast to the Nazi-supported, German Christian movement. However, in practice, it was difficult to agree on bold initiatives to oppose the Nazification of society and the church. Bonhoeffer felt disillusioned by the weakness of the church and opposition, and in the autumn of 1933, he took a two-year appointment to a German-speaking Protestant church in London. After two years in London, Bonhoeffer returned to Berlin. He felt a call to return to his native country and share in its struggles, despite the bleak outlook. Shortly after his return, one leader of the Confessing Church was arrested and another fled to Switzerland; Bonhoeffer had his authorization to teach revoked in 1936, after being denounced as a pacifist and enemy of the state. As the Nazi control of the country intensified, in 1937, the Confessing Church seminary was closed down by Himmler. 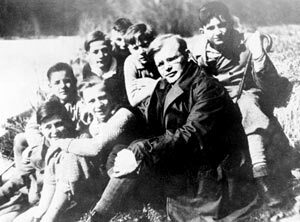 Over the next two years, Bonhoeffer travelled throughout Eastern Germany, conducting seminaries in private to sympathetic students. During this period, Bonhoeffer wrote extensively on subjects of theological interest. 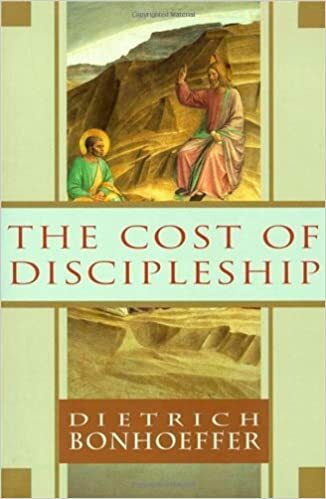 This included ‘The Cost of Discipleship‘ a study on the Sermon on the Mount and argued for greater spiritual discipline and practise to achieve ‘the costly grace’. Worried by a fear of being asked to take an oath to Hitler or be arrested, Bonhoeffer left Germany for the United States in June 1939. After less than two years, he returned to Germany because he felt guilty for seeking sanctuary and not having the courage to practice what he preached. On his return to Germany, Bonhoeffer was denied the right to speak in public or publish any article. However, he managed to join the Abwehr, the German military intelligence agency. Before his visit to the US, Bonhoeffer had already made contacts with some military officers who were opposed to Hitler. It was within the Abwehr that the strongest opposition to Hitler occurred. Bonhoeffer was aware of various assassination plots to kill Hitler. It was during the darkest hours of the Second World War that he began to question his pacifism, as he saw the need for violent opposition to a regime such as Hitler. Bonhoeffer struggled with how to respond to the evil nature of the Nazi regime. After the failed bomb plot of July 20th, 1944, Bonhoeffer was moved to the Gestapo’s high-security prison, before being transferred to Buchenwald concentration camp and finally Flossenburg concentration camp. Even during the privations of the concentration camp, Bonhoeffer retained a deep spirituality which was evident to other prisoners. Bonhoeffer continued to minister his fellow prisoners. Payne Best, a fellow inmate and officer of the British Army, wrote this observation of Bonhoeffer. On April 8th, 1945, Bonhoeffer was given a cursory court martial and sentenced to death by hanging. Like many of the conspirators, he was hung by wire, to prolong the death. He was executed with fellow conspirators such as Admiral Wilhelm Canaris and Hans Oster. The responsibility of social action to implement the ideals of the Gospels in the midst of life. Bonhoeffer also gave greater importance to the central nature of Jesus Christ, and the responsibility of Christians to imitate his life and teachings. In particular, he sought to teach the necessity of striving for spiritual perfection and forgiveness of sins. Citation: Pettinger, Tejvan. “Dietrich Bonhoeffer Biography”, Oxford, UK – www.biographyonline.net. Published 12th Jan. 2014. Last updated 8th March 2017. The Cost of Discipleship – Bonhoeffer, Dietrich. Letters and Papers from Prison – Bonhoeffer, Dietrich. When the Christians are afraid to talk against unrighteousness operated by the politicians, then GOD is feeling sad towards us for our slothfulness and timidity.